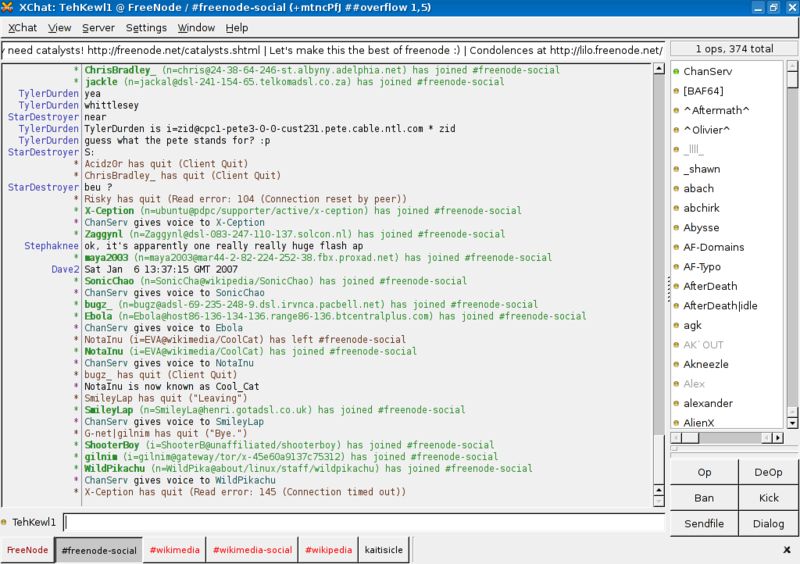 It is quite possible to hold constructive meetings via IRC. Indeed, organisations as large as the Wikimedia Foundation still use IRC for arranging major events, such as Wikimania. Follow the simple rules below to avoid disappointment. It is much harder to hold a meeting online than one in person because you can’t easily indicate to the person running the meeting when you want to speak. There are a few basic guidelines to make our meetings go smoothly. The moderator is the person leading the chat. S/he will normally be marked by an @ symbol next to their name. The moderator will give people permission to speak and generally try to keep order in the meeting. If you’ve been speaking for a while, finish your speech by saying “end”. Although they don’t seem like much, just these simple codes mean that people don’t need to interrupt each other, and the moderator can easily tell what’s going on and keep things working. Guidelines courtesy of the Woodcraft Folk.